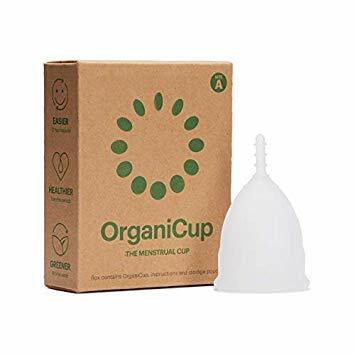 OrganiCup menstrual cup is the award winning silicone menstrual cup makes your period healthier, easier and more eco-friendly. You can wear the OrganiCup menstrual cup for up to 12 hours, meaning you don't need to think about your period during the day or night as it can hold the equivalent of 3 tampons. This reusable menstrual cup is extremely easy to use - fold the cup and easily insert. When you are ready and within 12 hours, simply remove and empty into the toilet. After a quick rinse, you can re-use.